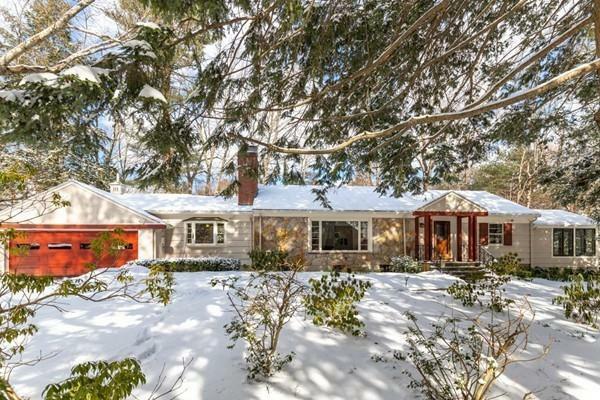 Spacious 3 bedroom 3 bath Ranch style home on professionally landscaped acre in the desired southern quadrant of Weston. See a great blue heron landing in a pond from your bedroom window. 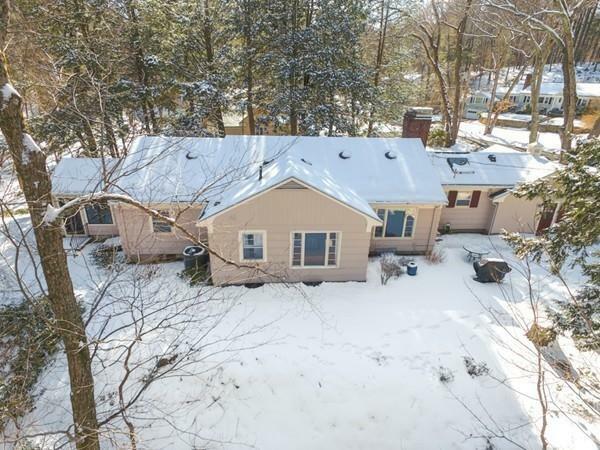 Hike forested trails that begin just down the road while still living within easy access to Mass Pike and Route 128. Inviting oversized formal living room with fireplace, dining room with water views, eat in kitchen and master bedroom with full bath and ample closets. Other highlights include an enchanting sun room with 3 walls of glass, a 2 car garage, central air, hardwood floors, Long list of improvements including professionally designed and now matured landscape with 2 stone patios for taking in the pond views, recessed lighting, oven, 200 amp electrical service, heating, central air, and insulation. Perfect for entertainment or relaxing to the sounds of nature. 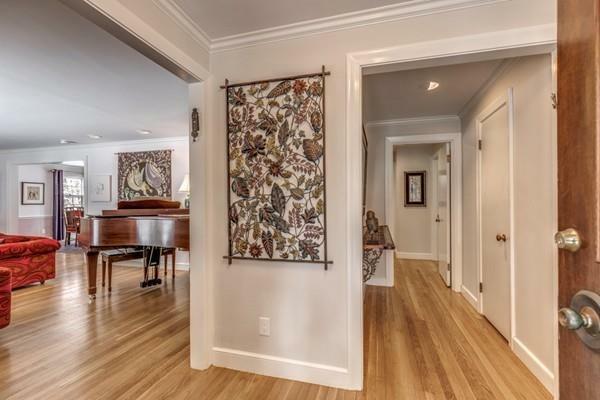 Listing courtesy of Gary Rogers of Re/Max On The Charles. Disclosures Ice Dam in The Past. Attic/Roof Reinsulated To Prevent Any Future issues. 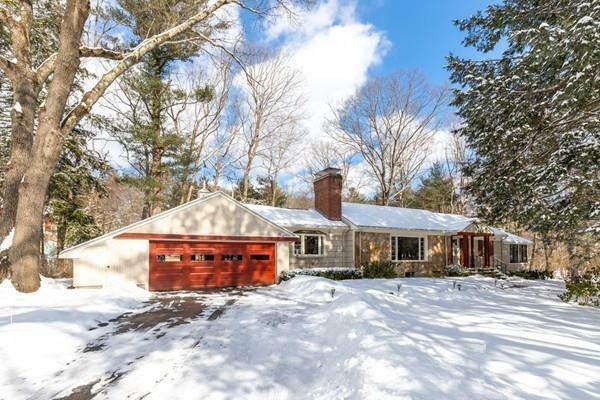 Listing provided courtesy of Gary Rogers of Re/Max On The Charles.